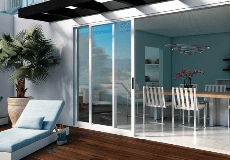 AVALON DOOR AND WINDOW, INC.
Avalon Door & Window is a professional, knowledgeable and supportive company that is looking forward to assisting you on your project in Los Angeles, Ventura or Santa Barbara counties. Avalon is one of the largest, most complete sources of quality Door, Window, & Hardware products in Ventura County. Ventura, Carpinteria, Oxnard, Camarillo, Goleta, Port Hueneme, Point Mugu, Ojai, Fillmore, Santa Paula and the greater Ventura County area. AVALON DOOR AND WINDOW, INC. is rated 4.5 out of 5 by 2. Rated 5 out of 5 by Pinnco from They are extremely knowledgeable. Great people to work with, especially the outside sales person. I don't have to worry about my orders; they take care of everything. Rated 4 out of 5 by Anonymous from A good experience working with Robert Cary and Avalon Doors and Windows. I've been working with Robert/Avalon for years now and always trust his suggestions and his awareness for what's new, special features, codes, and promotions.